Jewelry designer Tara Gasparian has an amazing eye. For women who have their own sense of style, who are leaders not followers. 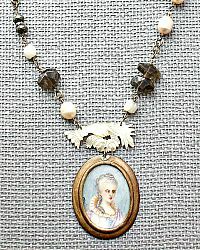 Her jewelry translates as collectible, wearable art, unique, like the women who adore it. It’s okay if everyone thinks you picked this up at that little antique shop in Paris, I won’t tell. 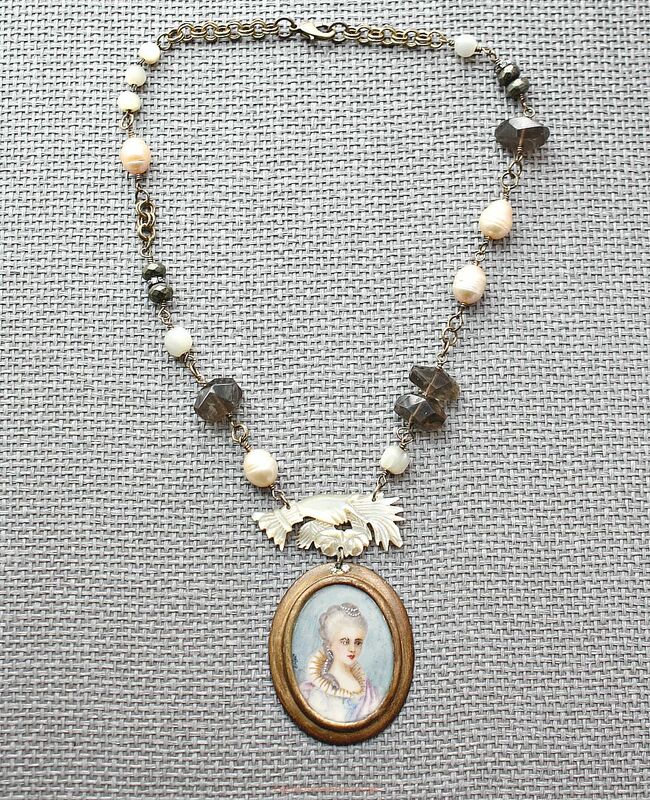 The hand made chain has Pink Baroque Pearls, semi precious stones of Hematite, petite Rhinestones, antique Mother of Pearl Beads and faceted Topaz. 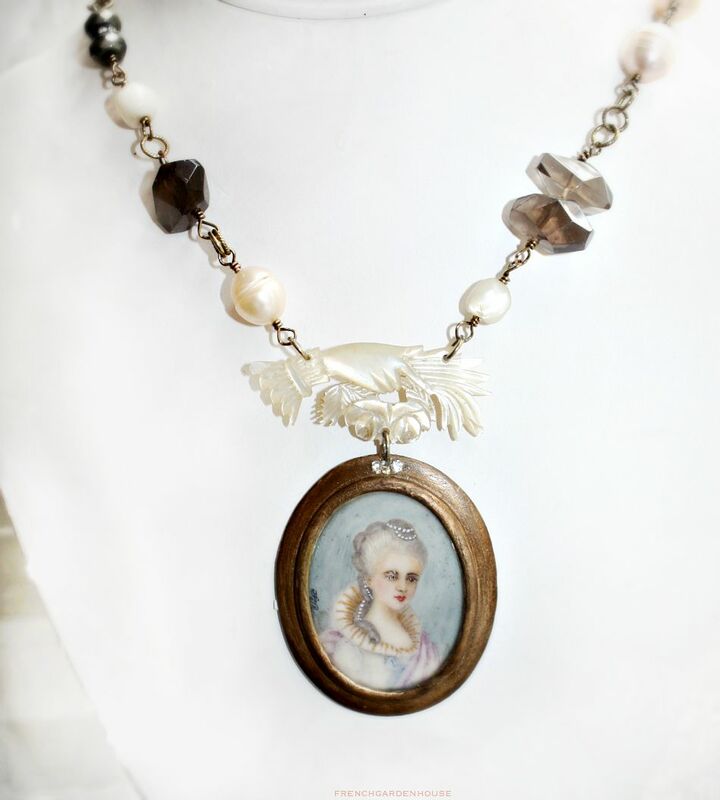 An antique Mother of Pearl Victorian Hand holds an antique French hand painted portrait of Marie. She is richly dressed in evening dress from the 1700's, lace, pearls, and a small tiara. The portrait is signed on the side, please see close ups. Measures: Chain; 17", Portrait: 2~1/4" x 1~3/4".